The Chargers have begun contract negotiations with the agents for longtime starting center Nick Hardwick and offensive tackle Jared Gaither. A third-round pick out of Purdue in 2004, Hardwick has started all 103 games he’s played over the last eight seasons, earning one trip to the Pro Bowl (2006) and missing most of one season (2009) with a broken foot. Hardwick, 30, had considered retirement following the 2011 season, but has decided to continue his career. Gaither, who’ll turn 26 a few days into the 2012 league year, started the final five games of the 2011 season at left tackle after being claimed off waivers from the Kansas City Chiefs. The 6-foot-9, 340-pound Gaither began his NFL as a Supplemental Draft Choice of the Baltimore Ravens, where he started 28 of 33 games over his first three seasons in the league. A back injury kept him out for the entire 2010 season, but Gaither signed with the Chiefs and appeared in 10 games before he was released after committing a crucial false start penalty after replacing an injured Branden Albert. Gaither recently changed agents, firing Drew Rosenhaus and re-hiring his original agent, Kevin Pompey. 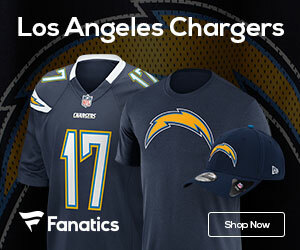 The Chargers are expected to part ways with two-time Pro Bowl left tackle Marcus McNeil, who has a history of spinal issues and finished the 2011 season on injured reserve with a neck injury. McNeill’s $10.5 million base salary for 2012 will become fully guaranteed if he’s on the roster on March 13 and his release would clear $6.6 million in cap space.